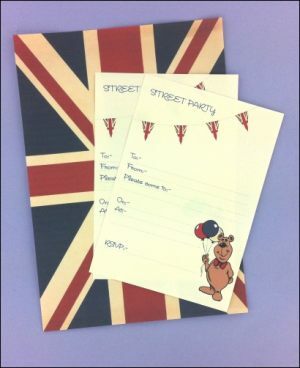 This fabulous 20-sheet set contains all that you'll need to make your street party go with a bang! 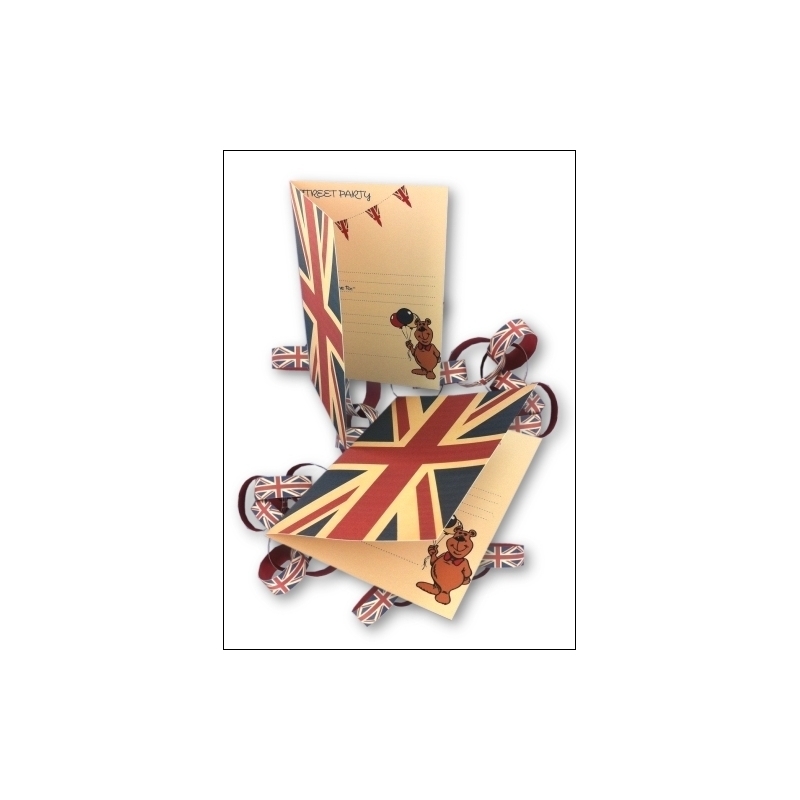 This vintage Union Jack-themed set features invitations, paper chains, notecards, a gift bag, gift boxes, tags, a bookmark, sandwich flags, crackers and backgrounds - fabulous! Why should crackers just be for Christmas? 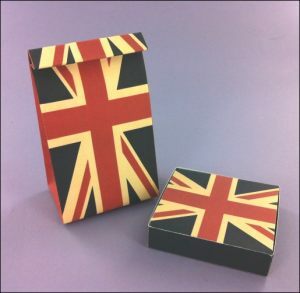 Make both large crackers and mini crackers which make a great decoration for your Jubilee table. 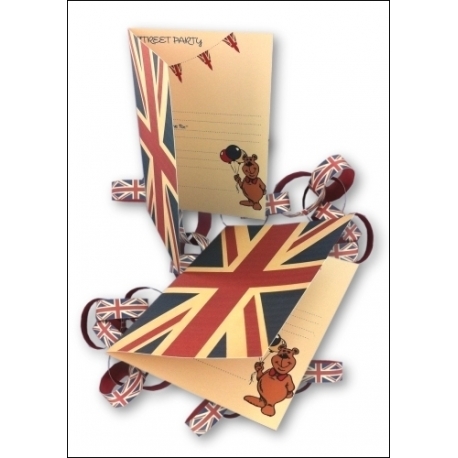 Fill with a small gift, hat, snap and motto, just like at Christmas! 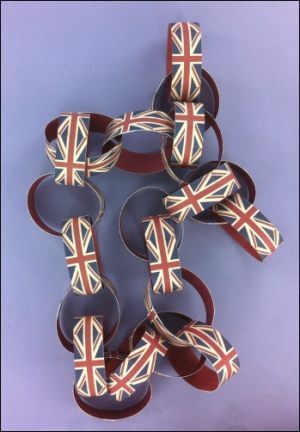 The kids will love making the Union Jack paper-chains in this set - and they're fun for the adults too! So simple but so effective for room decoration. 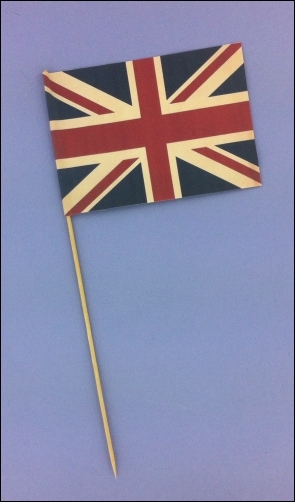 We have Union Jacks in three sizes in this set, great for room, window and table decoration - the A6 size is great for adding to a barbecue skewer or garden cane to make a flag that the kids can wave. 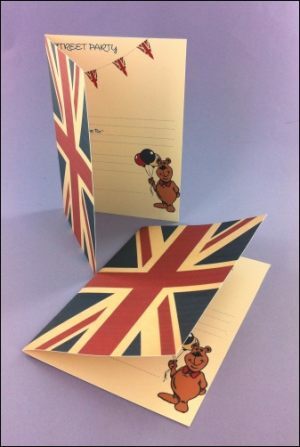 Of course there are invitations in this set - both A5 size and a smaller A6 size that can be printed into one of the Union Jack notecards - perfect! Give small gifts in our gift boxes and bag - the bag is great for filling with sweets for the kids. 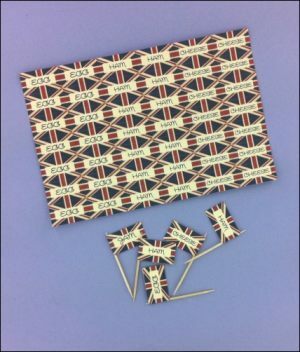 And for the table, there is a sheet of little sandwich flags which are just the thing for identifying your sandwiches. Most are pre-printed with sandwich fillings but there are also some plain ones to add your own filling.